History Center Notes & Queries: Who Signaled Paul Revere? Who was the "friend" who flashed the lanterns from the Old North Church tower in 1775 and immortalized in Longfellow's "Midnight Ride of Paul Revere"? 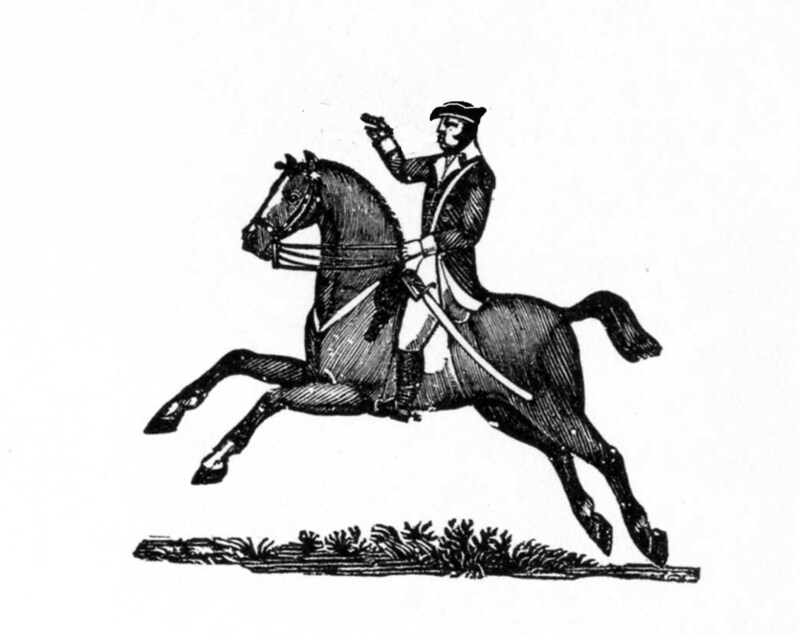 The popular poem of Longfellow creates a scene of the Revolutionary War patriot making his lonely ride alerting the New England countryside, but misses the historians' view that his mission was not to alert but to warn Samuel Adams and John Hancock that the Brits were coming to Lexington and after those two in particular. Also our man Paul was helped by other local Bostonians making it truly a collective effort. Aware that the British Regulars would try to stop all communications throughout the area around Boston, Revere earlier had shared his concern with Colonel William Conant when the now-famed silversmith had stopped at Charlestown. Paul Revere later wrote in correspondence to Jeremy Bleknap ca 1798, "I agreed with Colonel Conant and some other gentlemen, that if the British went out by water, we would shew two lanthorns in the North Church steeple, and if by land, one, as a signal, for we were apprehensive it would be difficult to cross the Charles River, or get over Boston neck." Old North Church was chosen because in 1775 its steeple was the tallest building in Boston and it was located and visible in Charlestown across the water. One problem plagued the plan. The rector of the church was a vowed Loyalist to the British. However, Paul Revere had a friend by the name of Captain John Pulling who was a vestryman of Christ Church and agreed to help the American cause. Revere also knew Robert Newman, a bright young man who was not able to find work, but had taken a job he did not like as the church caretaker. Eager to help out, he was known to be a man of few words and right for the job of signaling a secret message eager to help out. On April 18, Revere contacted both Captain Pulling and Sexton Newman as well as another acquaintance named Thomas Bernard and told them to be ready with lanterns that night. Revere told the men to go to the church and climb up into the steeple and show two lanterns from the window on the north side of the church facing Charleston. Newman opened the church door with his key before Captain Pulling joined him inside while Thomas Bernard stood guarding the door. It is believed that Pulling and Newman shared in the task of flashing the signal that the British troops were disembarking Boston by boat heading for Cambridge. Were two men showing the signal lights or one? David Hackett Fischer author of Paul Revere's Ride (1995) states in the endnotes that, all three men Pulling, Newman and Bernard took part. He cites the improbable task of carrying two lanterns up and the unlikelihood of lighting them using flint and steel atop the narrow steeple ladders. Further, there was the danger of igniting a light on the ground floor with British soldiers walking the streets; making certain that the two lanterns were simultaneously displayed out the window; and that Mr. Bernard kept watch while the other two were in the tower. Fischer says that there are no known sources surviving that explain who did what in the church tower that night. So it appears that three might have been involved and not one as Longfellow seems to imply when writing the words, "He said to his friend, 'If the British march By land or sea from the town to-night, Hang a lantern aloft in the belfry arch Of the North Church tower as a signal light, - One if by land, and two if by sea, And I on the opposite shore shall be...'"
The Old North Church is a wonderful place to visit when you are in Boston. The city has mapped out the Freedom Trail, which you can walk to see a number of historic sites. And the Italian food in that part of Boston is pretty good too!